I'm honored to announce that I have been commissioned as the first-ever fine-art photographer chosen to create the official MN State Fair art. The MN State Fair Commemorative Art unveiling event will be Thursday, June 6, 2019 from 4:30 to 6:30 p.m in St Paul. The original art will be on display in the Fine Arts Center during the 12-day run of the 2019 State Fair (Aug 22 - Sept 2). For more information about the fair’s commemorative art, visit mnstatefair.org/art. “R. J. Kern named 2019 State Fair Commemorative Artist,” by Pamela Espeland, MinnPost, dated Jan 30, 2019. 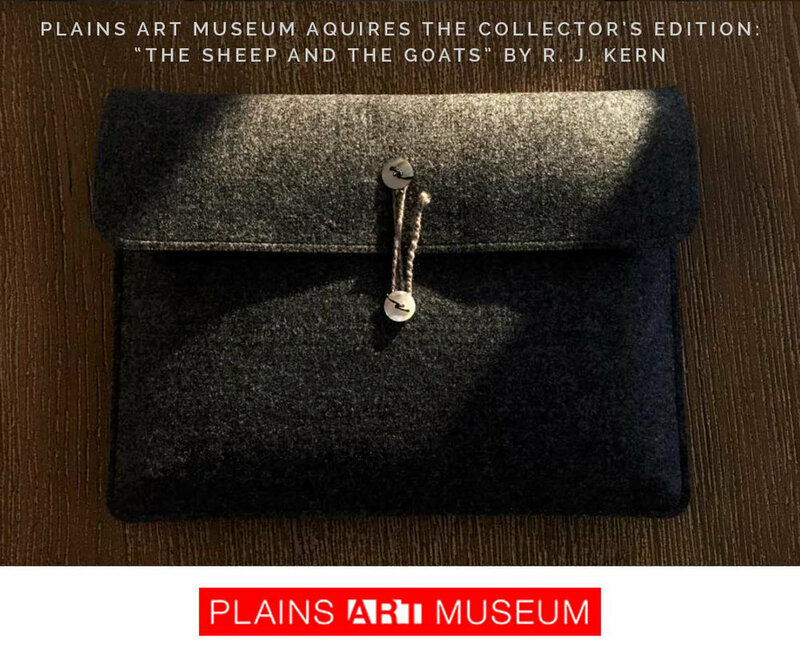 Made official today, I am happy to share the COLLECTOR’S EDITON of The Unchosen Ones (AP1) and the COLLECTOR’S EDITON of The Sheep and the Goats (AP6) have been accessioned into the permanent collection of the Museum of Fine Arts, St. Petersburg. In June 2018, I flew to Tampa, Florida as part of the artist panel discussion artist in Triangulate, curated by Nathan Beard, Eivind Natvig, and Kirk Ke Wang at the Dunedin Fine Art Center, Dunedin, FL. After the exhibition opening and book signing, Nathan Beard and I drove to one of my favorite museums I visited as a kid, the Museum of Fine Arts in St. Petersburg. 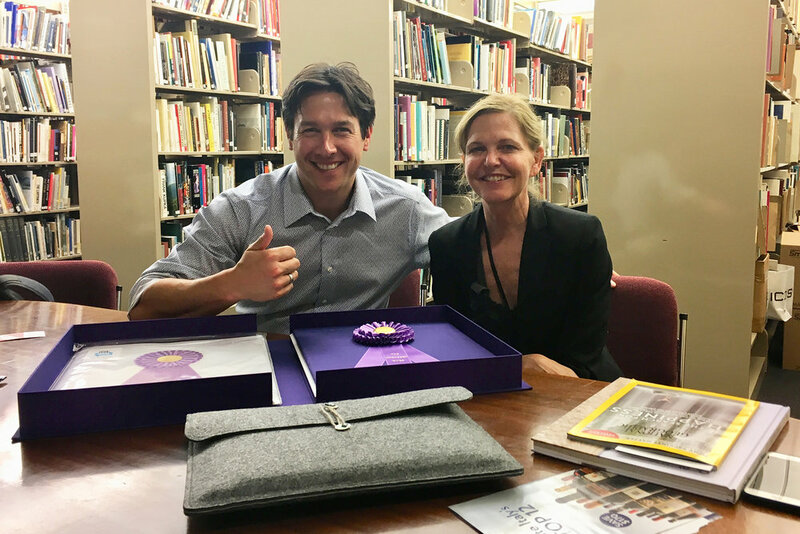 A highlight was meeting with Robin O’Dell, Curator of the Photographic Collection, Museum of Fine Arts, St. Petersburg, Florida (pictured). As luck would have it, I shared with her my monograph, “The Unchosen Ones,” with an essay by independent curator Alison Nordström, PhD. O’Dell smiled and pointed out, “She was my advisor in graduate school at the George Eastman House.” Small world! This effort opened up a few doors, and after a few months of patience and persistence, the effort has paid off! Thank you Nathan Beard, Alison Nordström, and Robin O’Dell being apart of this wonderful journey. This is the second museum acquisition of the COLLECTOR’S EDITON of The Unchosen Ones and the fifth museum acquisition of the COLLECTOR’S EDITON of The Sheep and the Goats. I’m pleased to announced my fine-art prints are now available through Burnet Fine Art & Advisory in Wayzata, Minnesota. Before moving to their new Wayzata location, the Burnet Gallery showcased contemporary art for 10 years in Le Méridien Chambers hotel in Minneapolis. The space celebrates art addressing contemporary issues. My first solo exhibition with the gallery will open July 11 and run through September 1, 2018 and will feature works from all three of my series: Divine Animals: The Bovidae, The Unchosen Ones, and Out to Pasture. Opening reception July 11 5:30 PM - 8:30 PM. I’m honored to share my monograph “The Sheep and the Goats” has been awarded "The Most Beautiful German Books 2018,” by Stiftung Buchkunst, the most popular book prize in Germany. This competition dates to 1929, making it one of the industry's first competitions to award the “exemplary in design, conception, and workmanship” as awarded by an independent jury. The book will be shown on several exhibitions and fairs in Europe including the Frankfurt Book Fair. Hei! (Wow!). 24 jurors, 9 juror days, over 900 submissions. The "most beautiful German books “ announced today! And my first monograph was one of them! The golden award sticker on "The Sheep and the Goats" monograph. Photo by Maximiliane Hüls (designer). For perspective, the "first jury" of the 2018 competition had 729 entries in total. Of those, 247 were narrowed down by the "second jury" to 247. Of these, 25 were awarded. “The Sheep and the Goats” published by Kehrer Verlag was among awarded in the Top 25. With introduction by Lisa Volpe, Associate Curator of Photography, Museum of Fine Arts, Houston; essay by George Slade; interview by Stuart Klipper. Designed by Kehrer Design (Maximiliane Hüls). JUSTIFICATION FROM THE JURY: "Inside title literally"
"Many people are well aware of this indefinable feeling of coziness that sets in at the sight of a sheep. If that's the case, you can not always drive to the country for reassurance.Two full-page series of images now provide a remedy: one of sheep, one of goats. Sometimes in small groups, often as individual portraits, animals can be viewed patiently. The book starts in the middle, because the inside title actually stands between the two groups of pictures, and the shortened pages with explanatory texts form a natural fugue in the book block. The photographs are ideal pictures of real landscapes. The animals in it are among the oldest companions and beneficial partners of humans. Through the atmosphere of Arcadian innocence, one dreams of the primordial harmony of man and nature. It overlooks all too easily the extent of the millennia-long cultural achievements that have shaped such landscapes with goat hunger and sheep's wool. On the precise prints the animals appear as individuals, even as beings with personality. The scarce picture legend calls region and country, and: the name of the animal. Even if ironic tones are echoed in the photographic staging, she is serious in that she acknowledges the magical and long-lasting connection between the little ruminants and their habitat. Pan, the god of the shepherds, would greatly enjoy this volume." © Stiftung Buchkunst, Frankfurt am Main. 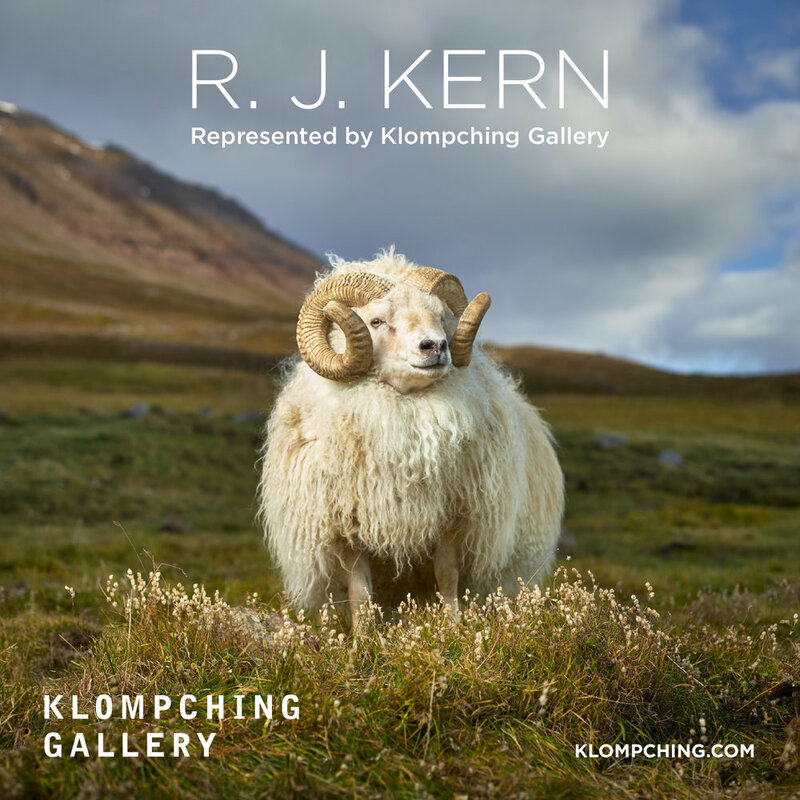 I'm pleased to announce this very special exhibition at Klompching Gallery, New York. Located in the hub of arts district between the Brooklyn Bridge and the Manhattan Bridge in DUMBO, this art space is intimate, beautiful. This gallery has established itself a solid reputation for providing guidance on the acquisition of contemporary fine art photography. Darren Ching & Debra Klomp Ching will welcome you with the same delicate care I approach my subjects. 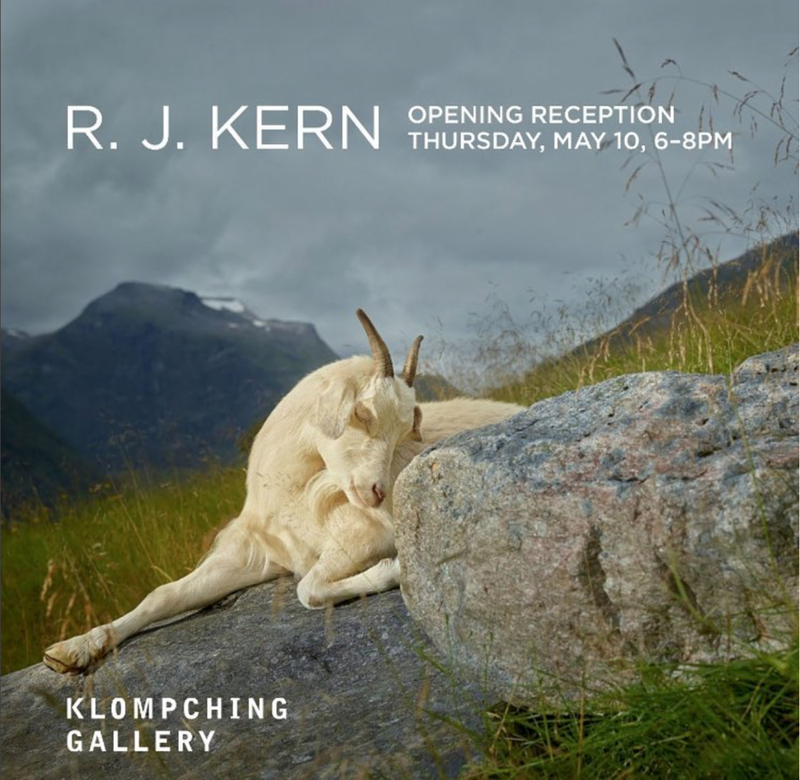 Opening Reception Thursday May 10, 6 - 8 p.m.
Book Signing Saturday May 12, 1 - 2 p.m.
Be among the very first to see the COLLECTOR'S EDITION of the The Unchosen Ones fresh off the press and The Sheep and the Goats (Kehrer Verlag, 2018). "The Unchosen Ones" artist book and COLLECTOR'S EDITION pre-sale has begun. I’m proud of every piece of this project including it being all made in Minnesota, USA. The Artist Book Edition includes essays by independent curator Alison Nordström, PhD and Joe Scapanski, Minnesota State Fair Board of Managers. Designed by Matthew Steaffens. Publisher: Author. 2018. Softcover, unbound. 12.5 x 15.5 inches (31.6 x 39.4 cm). 76 pages, 65 color illustrations. Printed in Minneapolis, Minnesota, USA. First Edition, 200 copies. Retail price: US $35. Pricing to increase as edition sells out. Available May 2018. The Center for Creative Photography (CCP) at the University of Arizona recently acquired a copy of the COLLECTOR'S EDITION of "The Sheep and the Goats" (ed 33/50) for their permanent collection. The CCP is home to Ansel Adam's archive along with two of my mentors, Stuart Klipper and Wayne Gudmundson. I recently attended Mary Virginia Swanson's 2018 Masterclass and had a wonderful time (learn more on her blog here). During the workshop we met with Rebecca Senf, Chief Curator at CCP, and Terry Etherton and Daphne Srinivasan at the Etherton Gallery. These connections helped to facilitate the acquisition and I am extremely appreciative for their efforts. Join me for a book signing at the Classic Photographs Los Angeles Art Fair, February 3, 2018 from noon - 1 p.m. in the Klompching Gallery booth (G3, #30), located at the Bergamot Arts Center in Santa Monica, CA. I will have several COLLECTOR'S EDITIONS of "The Sheep and the Goats" with me (currently, 17/50 remaining). See you there! Ringing in 2018 with some news: I'm excited and honored to announce representation by the Klompching Gallery in New York. Debra Klomp Ching and Darren Ching run a extraordinary gallery in Brooklyn and feature a roster of talented artists showcasing some of the best examples of contemporary photography. I'm delighted to work with them! My work will be featured in the Klompching booth at Classic Photographs LA February 2-4, 2018. I will be signing books and offering the COLLECTOR'S EDITION in the booth on February 3 from noon - 1 p.m.